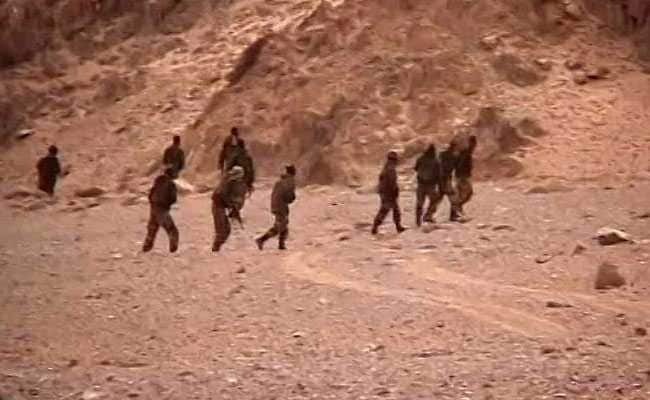 New Delhi: Claiming that there had been no troop build-up by China in Doklam since its standoff with India ended in August last year, top government officials today told a parliamentary panel that India was not concerned about what happens within Chinese territory located north of Doklam. Raising the issue at a meeting of the parliamentary standing committee on external affairs, Rahul Gandhi asked what China's intention was with regard to Doklam and also wanted to know what the Indian government was doing with respect to the structures being built by the Chinese beyond 30 kilometres of Doklam, sources said. The panel that is headed by Congress lawmaker Shashi Tharoor was briefed by Foreign Secretary Vijay Gokhale and Defence Secretary Sanjay Mitra. Last month, clear satellite images indicated a Chinese buildup within the region that Bhutan claims as its own. Indian and Chinese troops were locked in a 73-day standoff in Doklam from June 16 last year after India stopped the building of a road in the disputed tri-junction by the Chinese army. Bhutan and China have a dispute over Doklam. Responding to queries on the recent visits of Army chief General Bipin Rawat, National Security Advisor Ajit Doval and Mr Gokhale to Bhutan and reports on the possibility of land being transferred by Bhutan to China in Doklam for more territory in another area, the government said that Bhutan was firmly with India and had no plans to give in. At the beginning of today's parliamentary panel meeting, some members expressed concern over the Doklam issue coming up again when top government officials had already briefed the panel more than once, sources said.